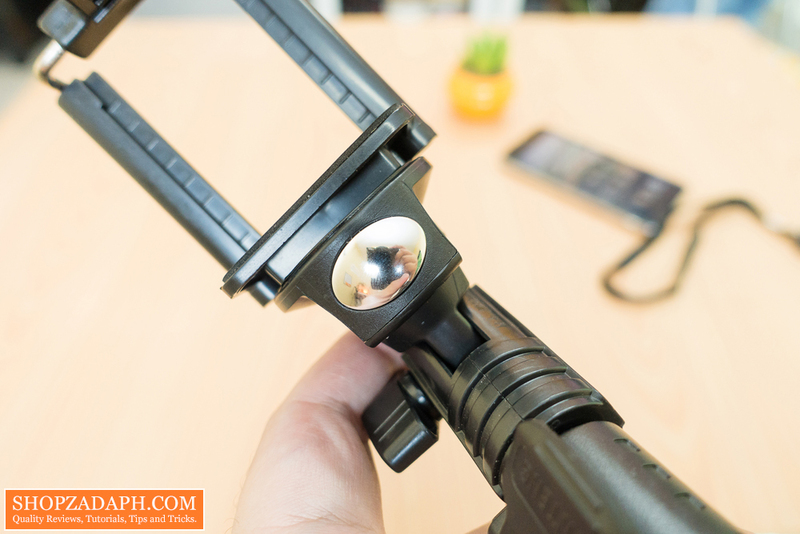 Home / below 600 / photography / reviews / smartphone / Yunteng YT-1288 Bluetooth Selfie Stick Review - The Best Selfie Stick! Yunteng YT-1288 Bluetooth Selfie Stick Review - The Best Selfie Stick! 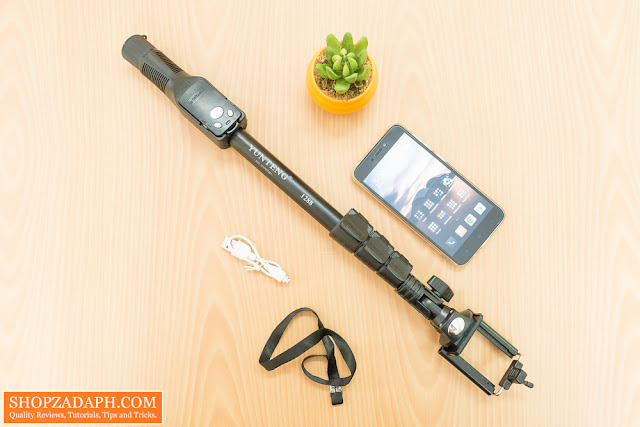 I know selfie stick is probably not for everyone, others may think it's silly or embarrassing to be used in public, on the other hand, others may argue that it's a necessity when traveling. Either way, to each his own. 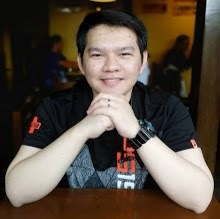 I myself, haven't tried using a selfie stick, first, because I don't want to put my valuable smartphone on a flimsy selfie stick and second, I haven't had any chance to use one since I always bring a tripod with me for group shots and whatnot. 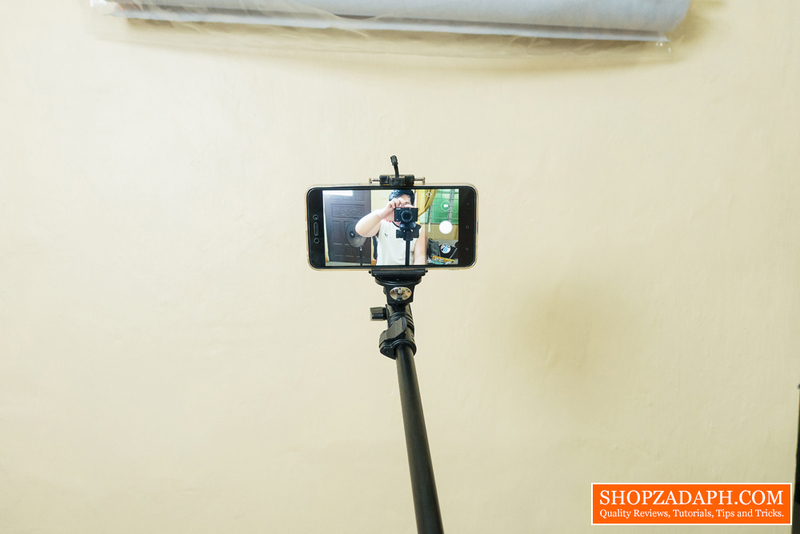 Selfie sticks can be useful at times when used in necessary situations like a quick group shot or taking a couple selfie with a beautiful background, especially if you don't want to bring a bulky tripod or there's no one else to take the picture for you and your group. 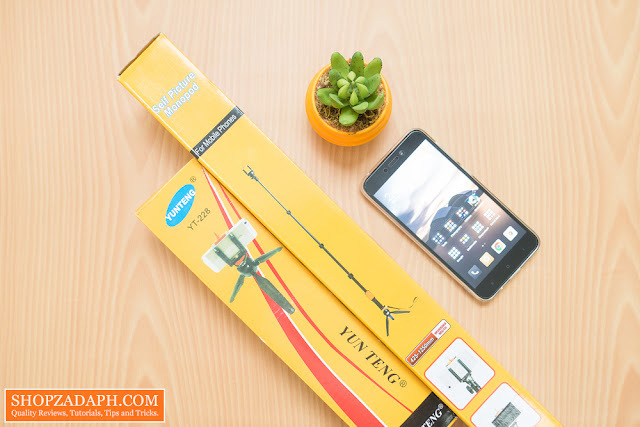 Just recently, I found an interesting selfie stick that will solve one of my concern, a durable selfie stick in the form of the Yunteng YT-1288. The design and construction of the Yunteng YT-1288 are much much better compared to the usual selfie sticks out there. This one is made from strong aluminum and hard plastic. It does weigh a little bit heavier though but it feels sturdy and durable enough to give you the confidence to put your valuable smartphone on it. This selfie stick can be retracted and expanded in three different sections using these plastic locks that looks pretty similar to a traditional tripod/monopod. 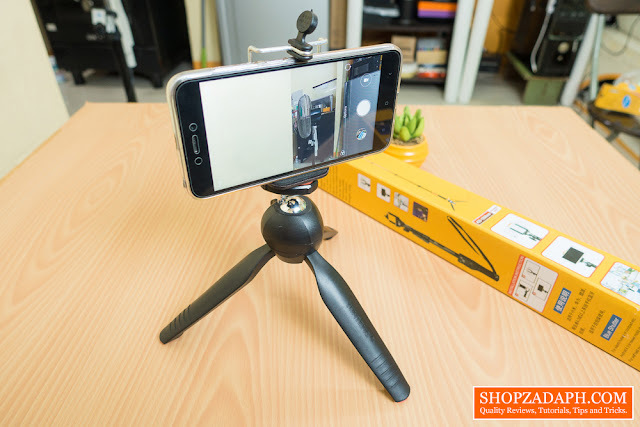 The part where you put your smartphone has this adjustment mechanism wherein you can adjust the angle to perfectly frame your shots. It has a clicking lock sounds whenever you adjust it by steps. The addition of a small selfie mirror is very well appreciated so you can have an idea of the framing if you want to use the back camera of your smartphone. As you can tell on the image below, expanded length is very long for a selfie stick, so having all your friends in one frame won't be an issue with this. Just take note though that at the maximum length the weight will be much heavier. 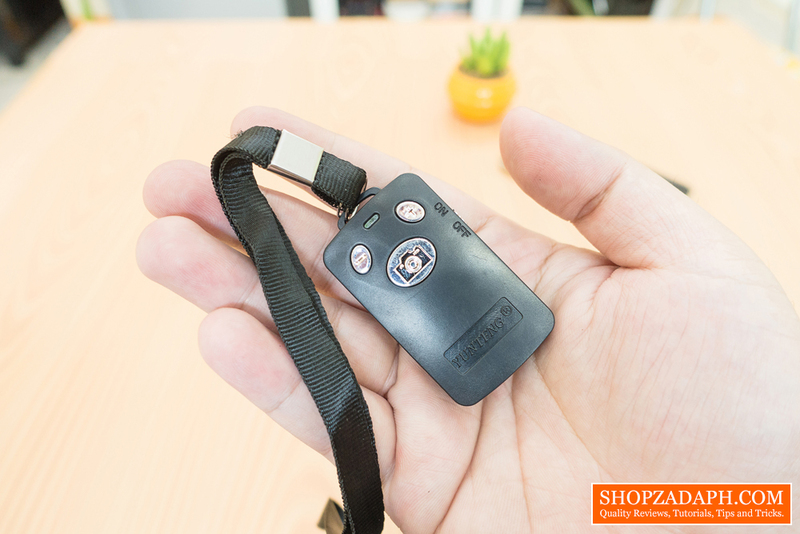 The Yunteng YT-1288 includes a built-in Bluetooth remote shutter that you can pair with your smartphone to take photos wirelessly. 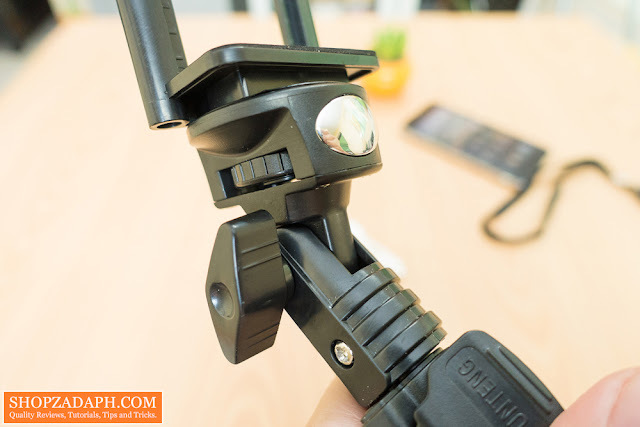 It is also detachable so you can use it even without using the selfie stick. 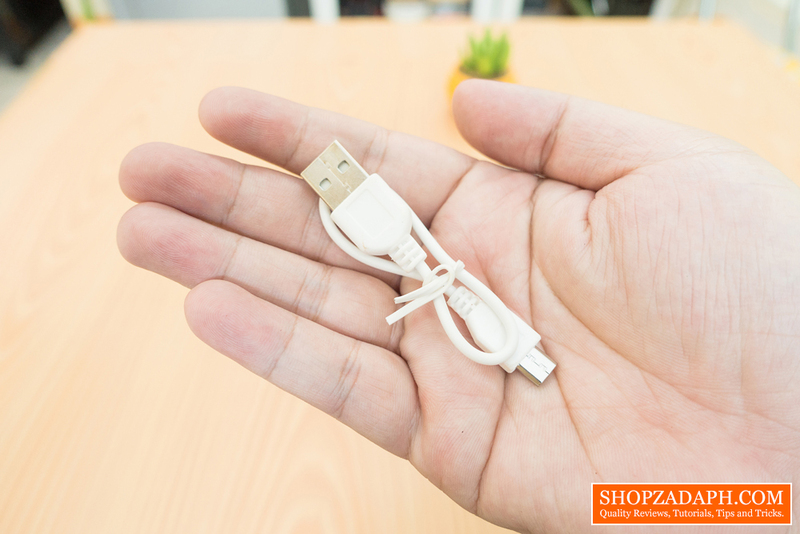 It has a built-in rechargeable battery and comes with a micro USB cable that you can use with a standard wall adapter. Now, when it comes to the Bluetooth connectivity, it's a little bit tricky. I had a little bit of a hard time pairing it with my smartphone and once it connected, sometimes it disconnects when the phone is far away from the remote. But once it works, it's pretty nifty. Take note though that your results may vary. You can also use your camera's built-in timer as an alternative. 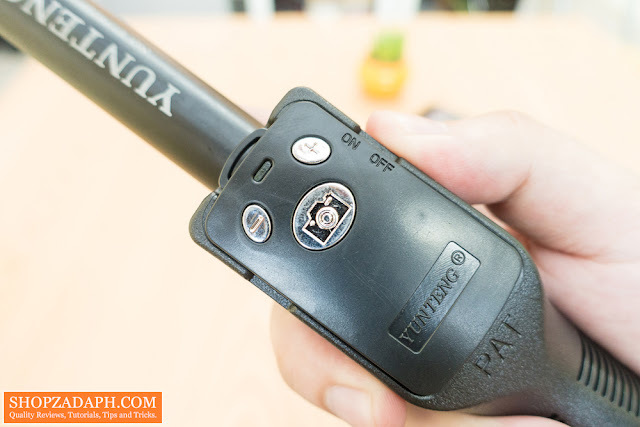 With that being said, pairing the Bluetooth remote shutter is pretty straightforward. 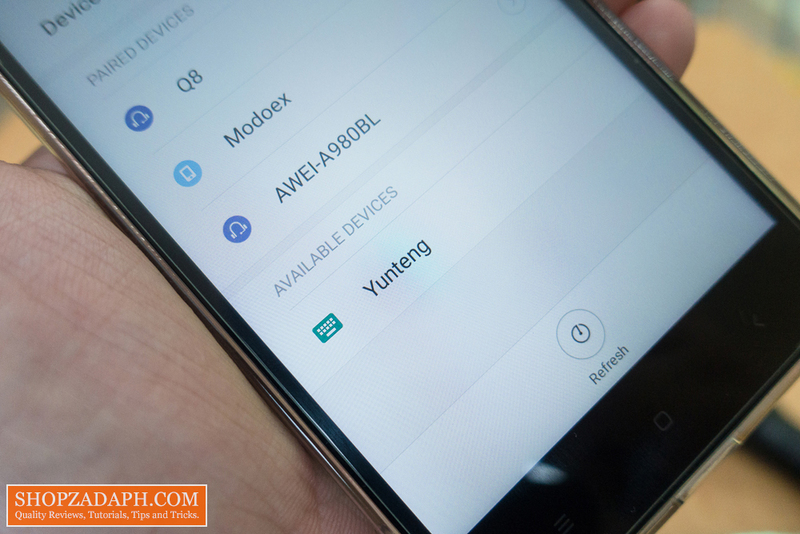 Just turn on the switch on the remote, turn on the Bluetooth connectivity on your device and "Yunteng" should show up as an input device. Once connected, you can now use the remote as a shutter button for your smartphone. If the default camera on your smartphone doesn't support it, try downloading the app called "SelfieShop Camera" on Google play store. 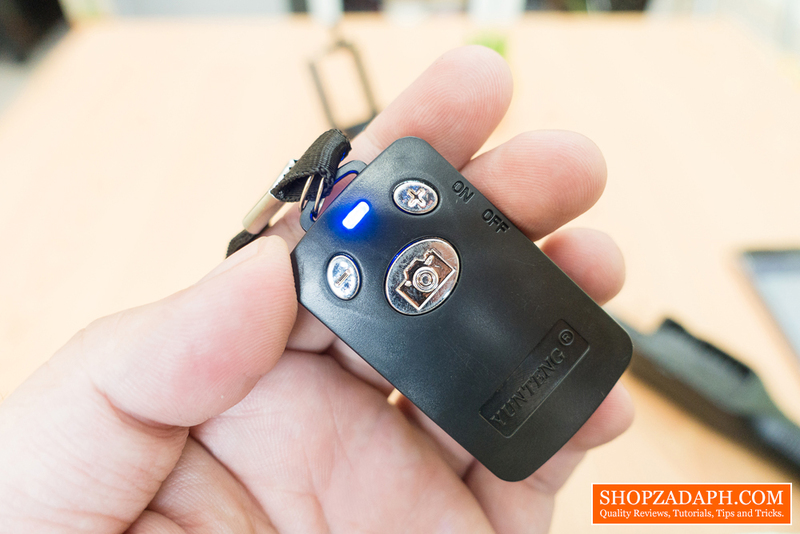 It has a setup guide for the Bluetooth remote shutter. 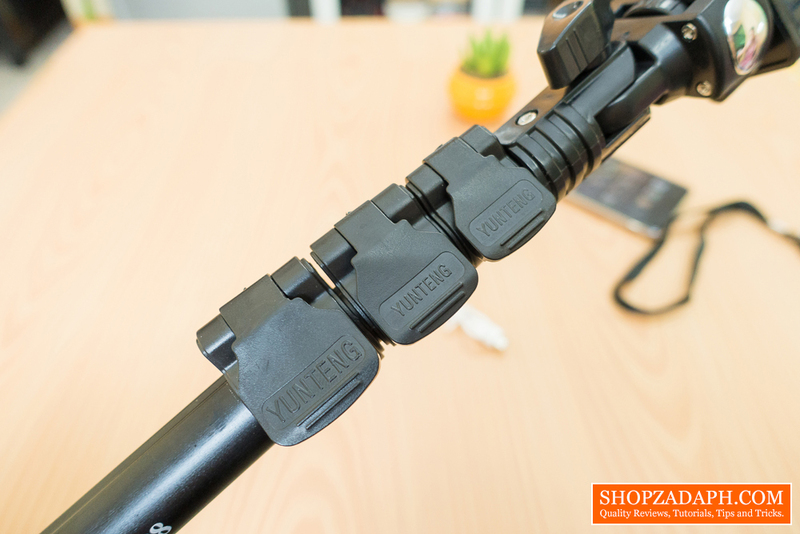 The following part is only applicable if you buy the Yunteng YT-1288 from the same store where I got it from (link below) as this one includes the freebie Yunteng YT-228 mini tripod. The Yunteng YT-228 mini tripod is a welcome freebie as it can both work as a standalone mini tripod or you can also use this with the Yunteng YT-1288 to form a monopod. 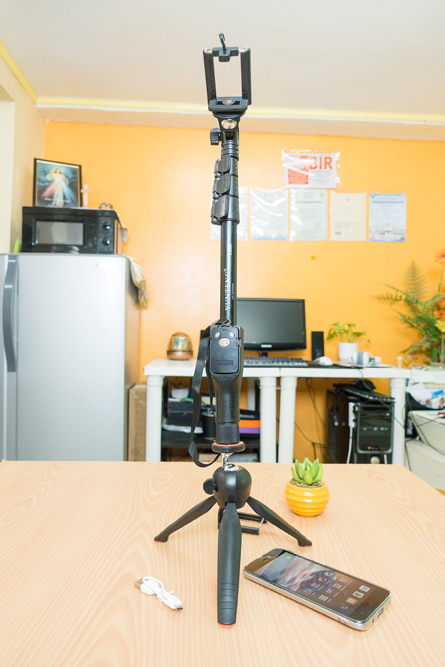 You can also use this mini tripod as a vlogging selfie-pod. As I've mentioned, you can attach the Yunteng YT-1288 to the Yunteng YT-228 to form a monopod as you can see below. 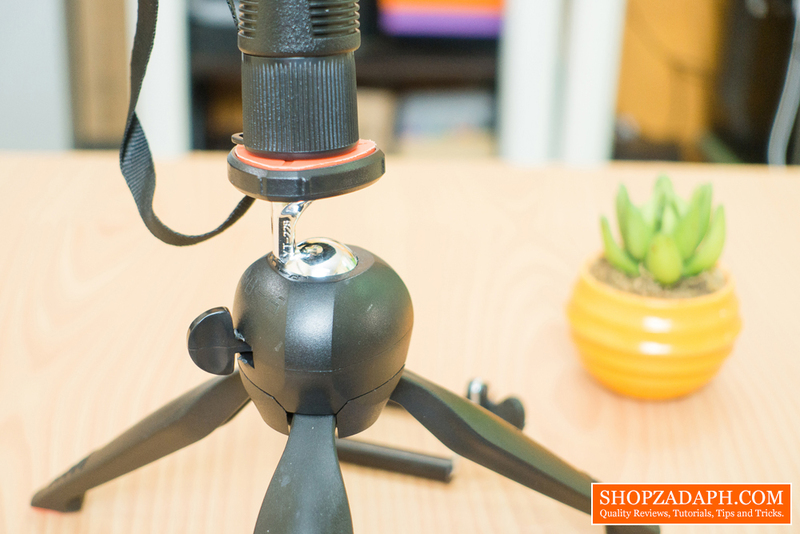 You can also attach the YT-1288 to any other tripod if you want to get the maximum height since it has a compatible thread socket at the end of it. I wouldn't suggest the above setup though for extended use as the head of the Yunteng YT-228 is made of plastic as you can see below, and it wobbles a bit so it's kinda unsafe if you ask me. 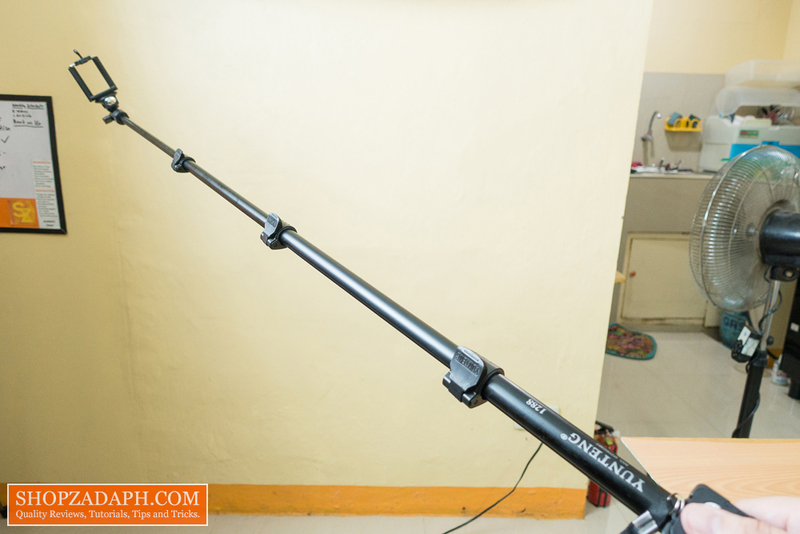 Other than that, I think this is one of the most durable selfie sticks I've ever seen. Will I Recommend This? Yes, but use both products separately. This is actually my first time using a selfie stick because I have no confidence in them, but this one's an exception. 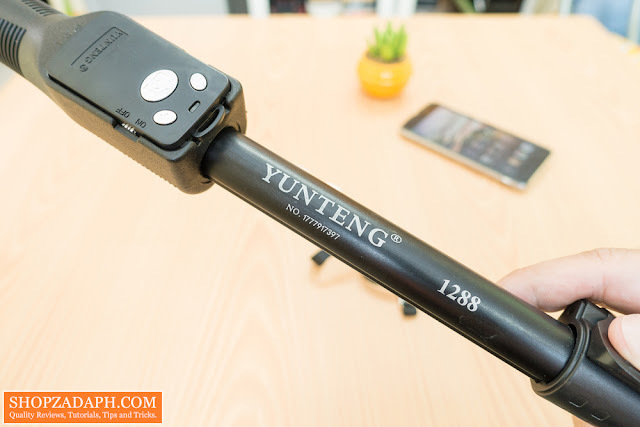 The Yunteng YT-1288 is sturdy and durable and I also have a proper Yunteng monopod (Yunteng VCT-288) so I have a bit of an idea of the quality of the Yunteng selfie stick before I got it. 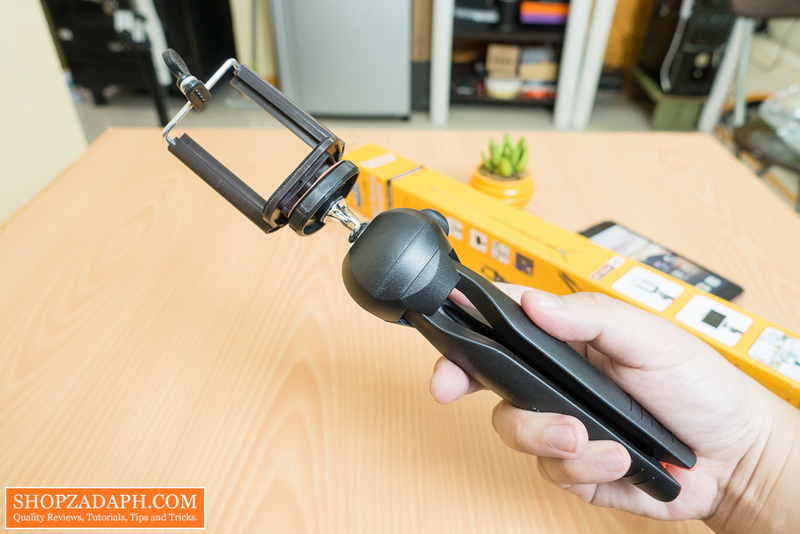 Aside from my issues with the Bluetooth remote shutter, I can still recommend this as an alternative to other cheap flimsy selfie sticks out there.